Meal benefit applications are required EVERY YEAR. Families who received meal benefits last school year remain eligible until September 2018. Benefits WILL EXPIRE in September if you do not complete a new 2018-19 application. Online application is quick, easy, and secure. Apply here. Paper applications are also available. Email TMSNutrition Department. All families are encouraged to apply for benefits, even if you think you do not qualify. (PLEASE NOTE- use the link for meal applications ONLY- do NOT make payments on this site. For TMS meal payments, use our payment portal. See below for more information about payment). 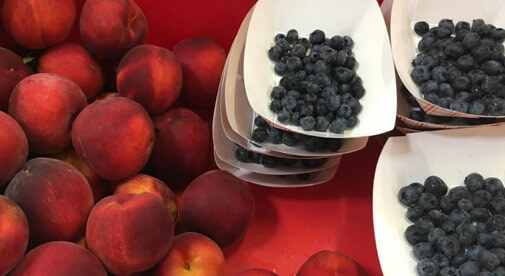 Starting with the 2018-19 school year, The Museum School will offer both Breakfast and Lunch daily. Cold breakfast will be served before school from 7:30am-7:50am and costs $1.50. Families currently receiving meal benefits automatically qualify for these benefits at breakfast as well as lunch. We are pleased to offer meals from Preferred Meals, and meal tracking and payment services from our online portal, Schoolpaymentportal.com. Both services keep families fully informed of the menu, allergens, student lunch activity, and payment history. 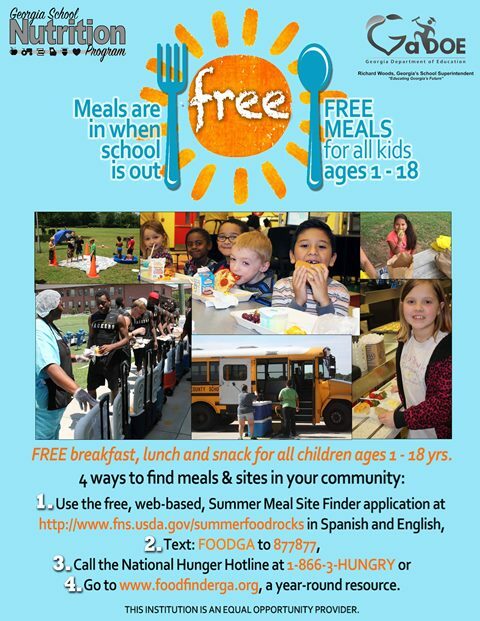 Meals contain all food groups and nutrients that are required by USDA (under the Healthy, Hunger-Free Kids Act). This includes requirements such as a minimum ½ cup fruit and ¾ cup vegetable servings at every meal, whole-grain rich grains, and limits on sodium and trans fats, among other requirements. Preferred Meals’ kitchens are nut-free and pork-free, and are inspected by onsite USDA staff, which assures safe food handling and accurate labeling practices. You can view allergen information by placing your mouse over each menu item on online menus on Preferred Meals website. And, importantly, students really like Preferred Meals’ food. We offer 1 meat and 1 vegetarian option daily. Breakfast is $1.50, and lunches are $4.00 each. How Does My Child Order Breakfast / Lunch? Breakfast will be served daily with no ordering needed. Just show up! Lunch MUST be ordered by the student in homeroom. Starting with the 2018-19 school year, lunches are ordered same-day. No advance ordering is required. 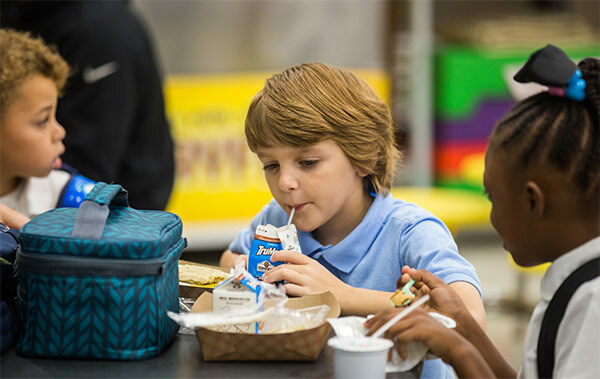 Students order lunches by informing their classroom teacher, first thing in the morning, if they will need school lunch (either regular or vegetarian) that day. For the first 2 days of school, to make things easier for everyone, lunches will be automatically ordered for students. To ensure smooth transition, TMS will have plenty of extra lunches on hand while students and families adjust to the ordering procedure. Some teachers may request that parents do the ordering for their kids, depending on the age (i.e., Kindergarten). Parents may send in a note to teachers stating which date or dates (you could order a week or a month at a time if you wish) their kids would like to get school lunch. Menus are posted in classrooms, the front office, the cafe, online on the TMS website, and in weekly newsletters so you will always be informed of what school lunch options are. How Do I Pay for Breakfast or Lunch? Please pay for all meals in advance. Payments can be made by cash, check, credit card, or ACH withdrawal. For credit card or ACH payments, use Schoolpaymentportal.com. You can make payments from your computer or mobile device and set email notifications for when your balance falls below a designated point. It is recommended that everyone set up an account in the portal- even if you don’t plan to use it for payment. It is quick and easy to do. • $1.00 + 2.3% for credit cards (a $20.00 credit card charge would be assessed $1.46 in fees). This fee covers the cost of credit card/ACH processing. Therefore, I recommend you purchase lunches in batches, such as $20 or more, to minimize the impact of this charge. You will not be charged any fees if you pay TMS directly by cash or check. As always, email the TMS Nutrition Department with any questions or concerns. We look forward to serving the students this year! Would I Qualify for Meal Benefits? We encourage all families to apply for meal benefits. Filling out the application qualifies you for 1 volunteer hour! Benefits are based on family size and household income. If you have received benefits in the past, note that you must reapply EVERY YEAR if you wish to keep receiving benefits. Benefits from last school year expire in September. Applications are online (paper applications are also available. Contact erin.johnson@themuseumschool.org to obtain a paper form). Online applications are easy, secure, and fast! Please note: Dekalb County’s online application system is the same as last year, via SchoolCafe software. It is very user-friendly. If you are logging into the system for the first time, you must set up an account. Select “Dekalb County Schools” as the district. Then select “Museum School” as the school. After you have created an account, register your child/children in the system first by selecting the “Add a Student” button. Note: This system is for applying for benefits ONLY. Do Not make any payments to this account as it is not part of TMS’s lunch ordering or payment system. Do Not view menus as it is not TMS’s menu. Contact the TMS Nutrition Department Erin.johnson@themuseumschool.org if you have any questions.